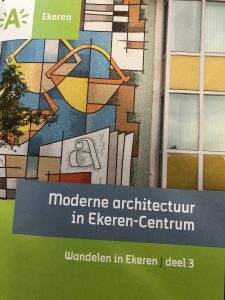 Ekeren has published a new brochure: Modern Architecture in Ekeren-Centrum. 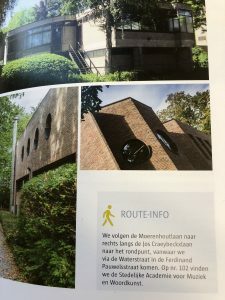 The walk starts at the Kristus Koningsplein and leads you via various modern buildings in Ekeren. AIS is featured as number 12. 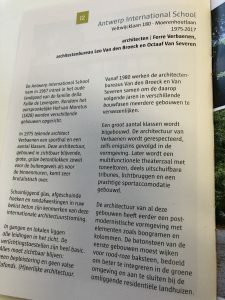 If you are interested in the brochure, you can buy it for one euro in the Ekeren Districtshuis or library.